-- When the curtains are drawn back on the cabinet of wonders, every individual you meet is an original, the indelible mark of their uniqueness shaped in their flesh. Molly and Faye are spirited teenagers - and conjoined twins. Saffron is the Wolf Girl, her female form covered head to toe in fur. Alex/Alexandra is a seductive hermaphrophodite, her male/female parts irresistible to many. To the rubes that pay good coin to see them, they are Freaks. To the other carnies - those who run the Ferris Wheel, the Girl Show, and more - they are the Starlight Carnival Royale's most lucrative source of income, and sometimes, friends. To Shadrach the tattooed man of God who travels with them, they are evidence of the divine. For Dugan - scholar, businessman, romantic, and dwarf - the cabinet of wonders is more than just his business, it's his family and the centre of his universe, and he'll do everything he can to keep it together...despite the rifts that are appearing after three years on the road. 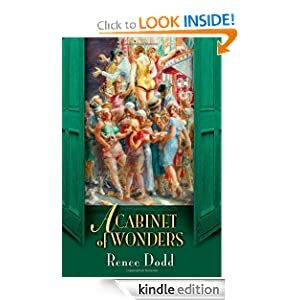 A Cabinet of Wonders or to sample this book for FREE! -- In a short space of time, several bestial murders occur in central Stockholm. When criminal investigator Conny Sjöberg and the Hammarby police begin to suspect that there’s a link between the murders, Sjöberg goes completely cold. There is a killer out there whose motives are very personal, and who will not be deterred. 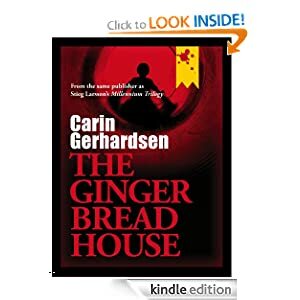 The Gingerbread House by Carin Gerhardsen is the first in the Hammarby series, thrillers with taut, suspenseful plots and unexpected twists and turns. This haunting novel explores schoolyard bullying among young children and the effect it has on them when people look the other way. Many of the scenes in this book are self-experienced and based on Gerhardsen’s own childhood. Urban settings and strong portraits of authentic characters are crafted in depth and detail, insuring the books will linger in the reader’s mind long after the finish. The Gingerbread House or to sample this book for FREE! -- The year is 1968. After spending the first half of summer vacation driving her Italian family crazy with her fake southern accent, 10-year old A.J. finds a soul mate on the other side of the island to divert her attention. She is intrigued to learn that Danny shares her same burning desire to know God and realizes that few people her age think as deeply as the two of them do. However, the depth of their newfound faith and friendship is soon tested when Danny's father betrays his wife. 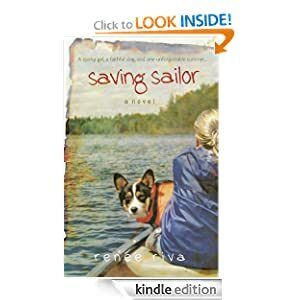 Saving Sailor: A Novel or to sample this book for FREE!